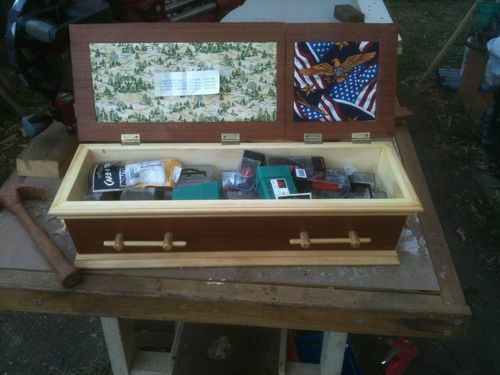 I'm a retired First Sergeant, formerly in the US Army that is passionate about woodworking. Although time is a most precious commodity that I can't seem to find enough of, I have a wife that is EXTREMELY tolerant of my time in the "shop" (the garage actually, but "shop" sounds so much more professional....the "shop") and wood hoarding habits or the occasional I-have-to-have-it!!! tool purchase (as long as I build the things she asks for). I'm a firm believer that a community willing to share ideas and advice is the best way to improve the community as a whole. I look forward to talking with you all. Welcome to LumberJocks where the People and Projects are Amazing! Good Luck! Welcome to LJ’s I have learned a lot and have been inspired by many projects here – I am sure you will be too. I got out a few years ago from the 2SBCT, 25ID. 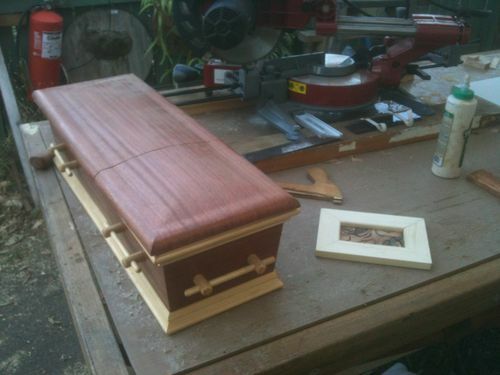 My slant on router bit storage !! Kind of a late welcome, but welcome anyways!!!! My Uncle recently retired from the Army as a first Sargent as we’ll. Thx for serving this great Country, Ex Navy here 84-89 Aircraft Carrier USS Enterprise CVN65. Love all the G&G projects, one of my favorite styles of woodworking.